An all in one, that you NEED to have! 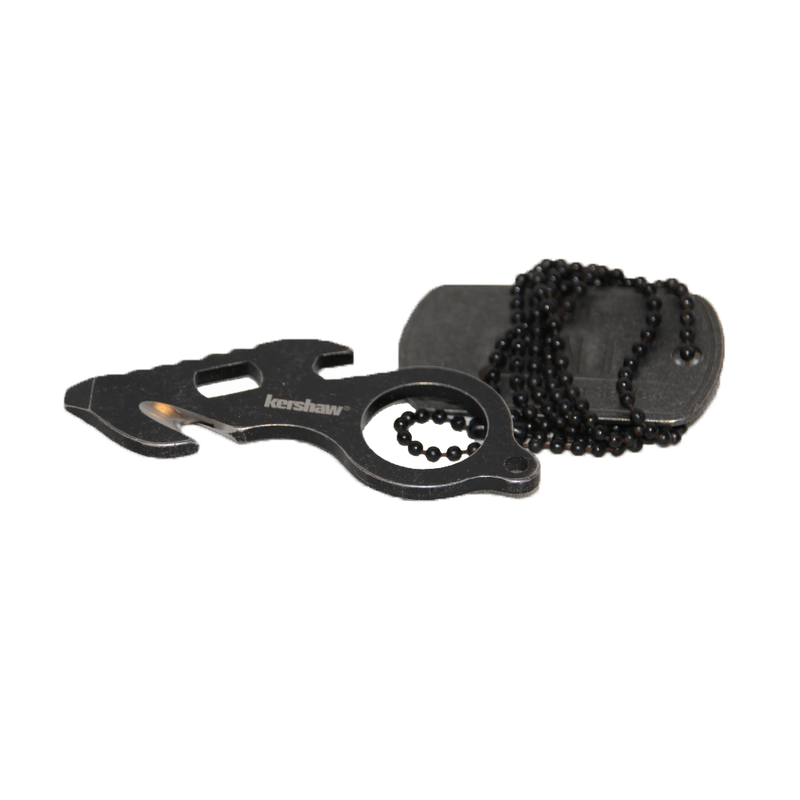 This outstanding multipurpose tool from Kershaw™ features a small screw driver, wire/strap cutter, bottle opener (the most important piece of EDC kit you can carry), oxygen tank wrench and a large keyring which compliments an included Kershaw™ marked Dog Tag and chain. 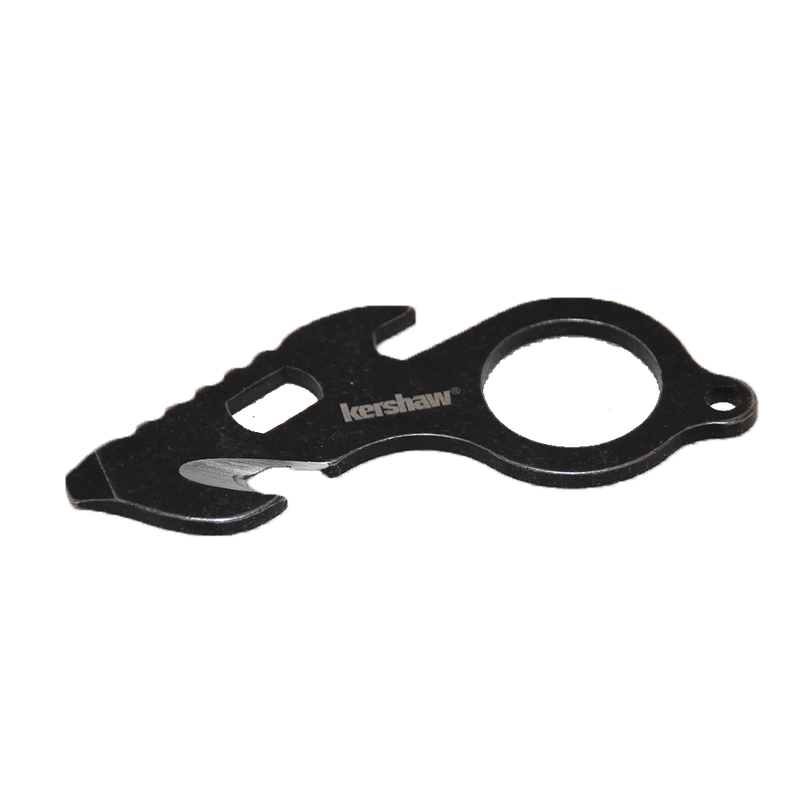 The mini-tool itself is constructed from blackwash stainless steel in a slim 3 inch profile, making it extremely compact for how handy it is!